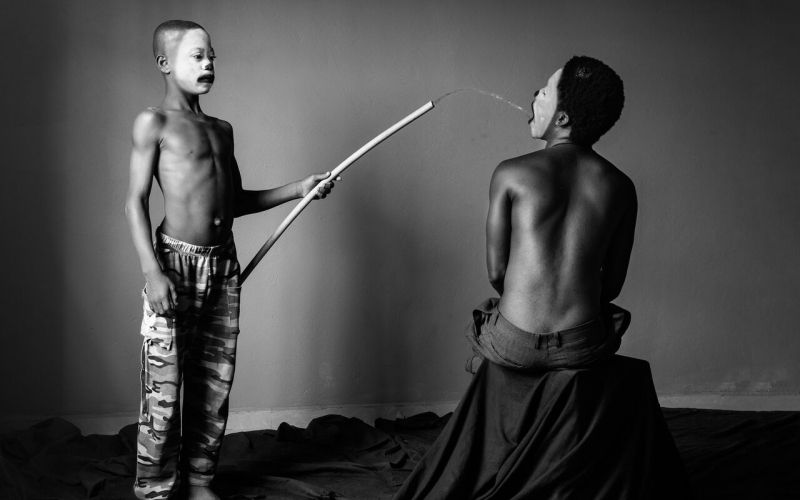 ASYLUM | Exhibitors | LagosPhoto | International art festival of photography in Nigeria. 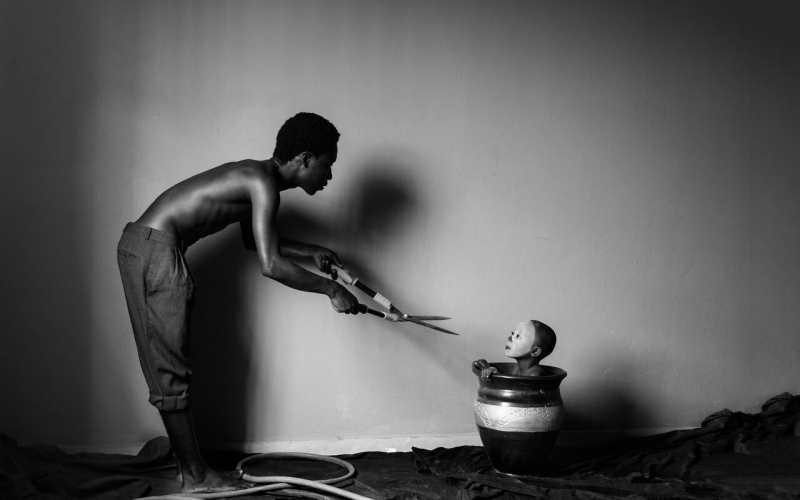 Asylum is a series of mainlyself-portraits that seeks to examine the contemporary African male sexuality against a backdrop of religion and tradition. 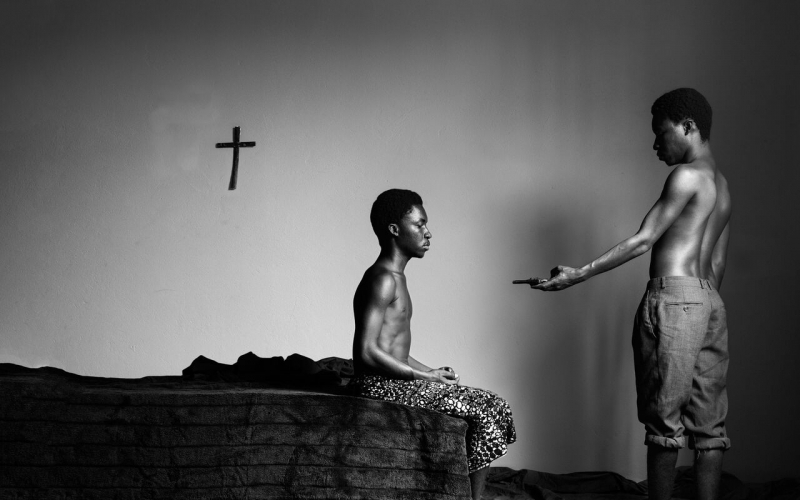 The series explores the constant struggles of the African male’s position on sexuality, placed between these two cultural dichotomies, and cemented down with family constructs and demands for responsibility. Each image is inspired by a subconscious collage of memories from childhood that aligns itself with the continual interaction with family, friends and strangers from the present around whom these constructs revolve. There is a sense of helplessness to the asylum character and a longing for a place in both worlds, with either oblivious to his vulnerability. This strong yearning for identity that remains unresolved gradually steers the asylum character towards rebellion. Asylum can be seen from two angles, both in the photo narrative and in its literal meaning as well. 1. it is a place where the asylum character can go and be healed of his abnormality and 2. A place where the character can seek refuge and be safe from those who want to heal him of his so called abnormality.so in essence there is battle, a paradoxical duality of sorts happening throughout the series.